Fifty years ago our Parishioners built Saint Thomas Greek Orthodox Church, to provide the Greek Orthodox faithful of Delaware Valley a place to worship in the religion of those who came to the United States to begin a new life. The Church has become the home of more than 700 families who worship freely and celebrate their glorious Hellenic Heritage. Today we honor those who started our Church by transforming the present building into a beautiful basilica to enhance our worship and to give glory to God who has blessed us. 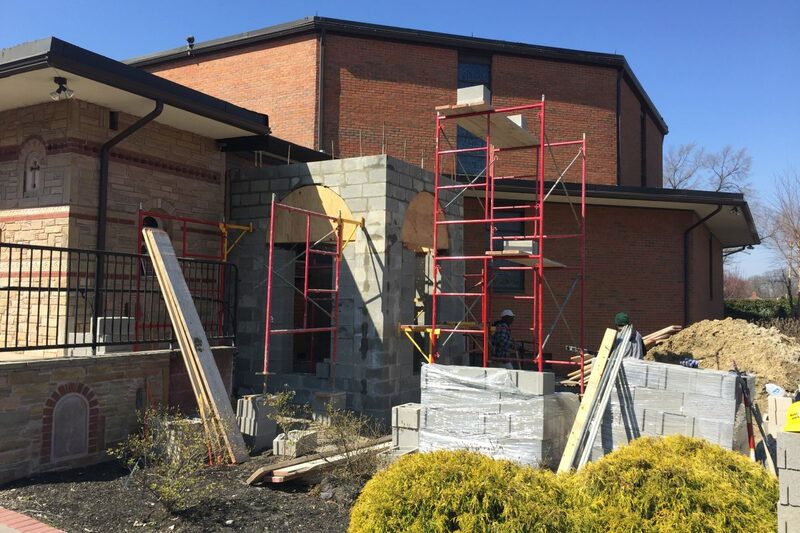 If you look at the right as you face the entrance to our Church, you will see the Bell Tower of Saint Thomas rising from the ground. Only three weeks ago Father Christoforos blessed the ground where the Bell Tower will sit. Now, the foundation is in place and the walls are rising. As we are continuing our journey we are reminded of the hymn of our Church that I quoted above: “Lord, solidify Your Church, which you built with your Precious Blood.” It is this power of Christ that is moving our Church community to build the final phase of His Church. 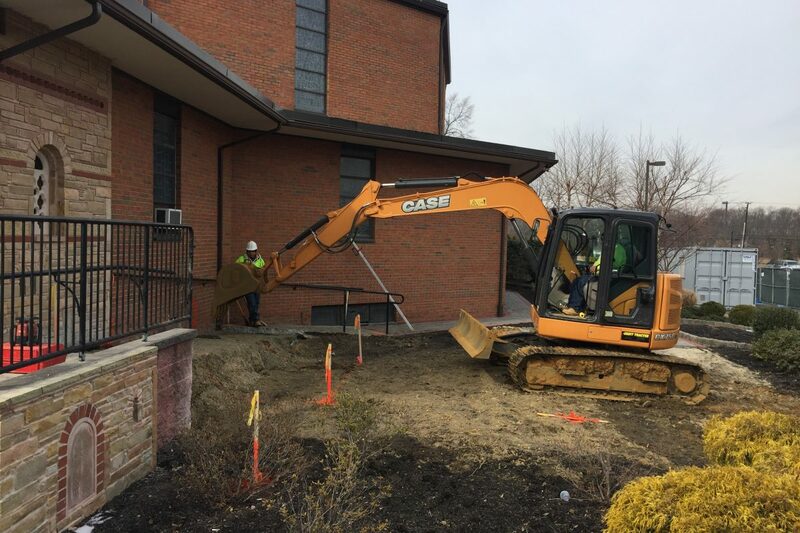 The last two weeks saw the contractor pouring the cement on the foundation and also saw our Parishioners opening their hearts and pledging with generosity to fund the construction. Our Lord and his Apostle Saint Thomas are thankful to all of you eternally. The schedule of the construction is moving forward. 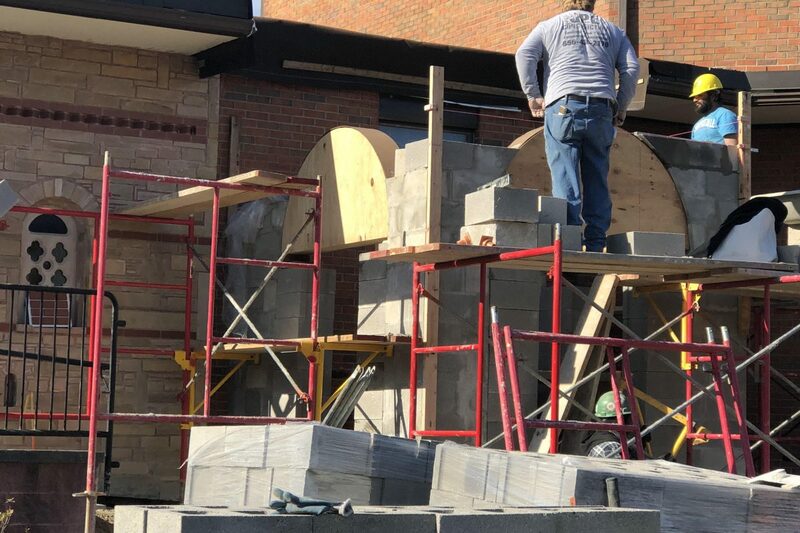 Most of the Bell Tower will be up by Easter. The dome is being manufactured right now and will arrive in June. We expect it to be assembled in our parking lot and then lifted by crane and placed on top of the Church. 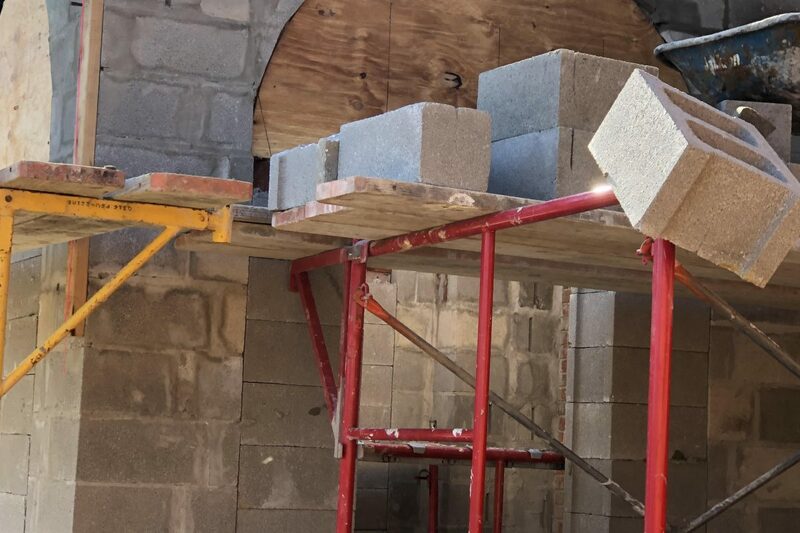 In the meanwhile, the exterior stone work, the new ceiling (in the narthex and in the Church) and several other changes will be taking place. I want to clarify two rumors that I heard. One has to do with the exterior stone. The stone will come from local quarries and will not be imported from Greece. The second has to do with the bell tower. 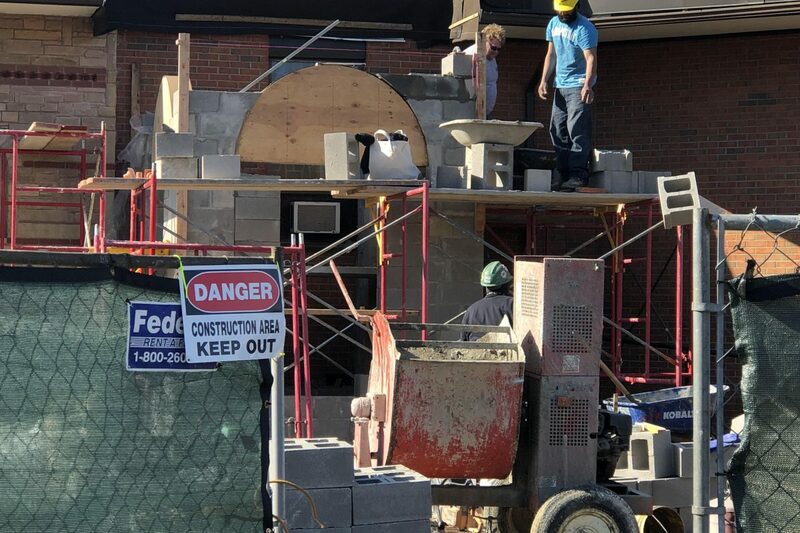 The bell tower will have bells that will ring. The sound will be at levels that will not disturb our neighbors. 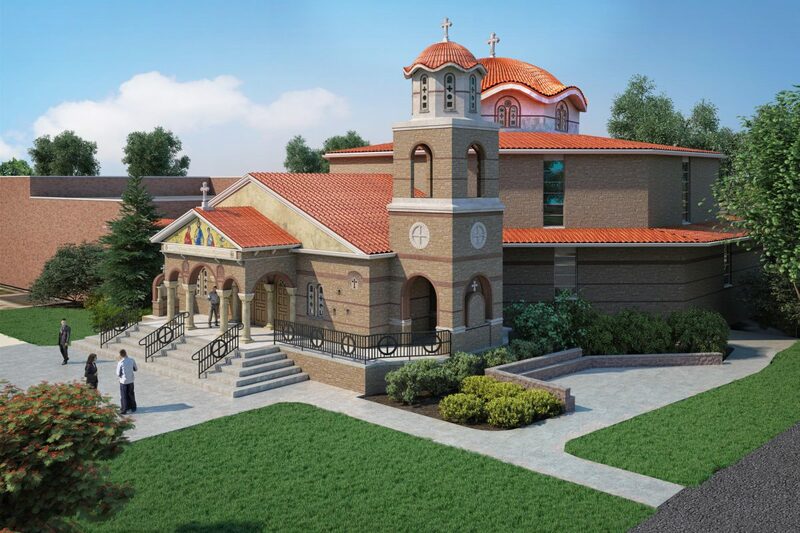 Beginning May 22, the Divine Liturgy AND ALL THE HOLY SACRAMENTS (including Baptisms and Funerals) will take place in the Danielle Kousoulis Cultural Center. I hope that you will be attending Liturgy on Sundays throughout the summer so you can be witnesses to this monumental and historical project.